Some recommended products on this site may use affiliate links. 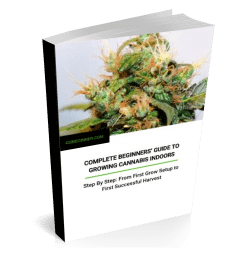 420 Beginner is a participant in the Amazon Services LLC Associates Program, an affiliate advertising program designed to provide a means for sites to earn advertising fees by advertising and linking to Amazon.com. You agree that all agreements, notices, disclosures, and other communications we send to you electronically (via email) shall satisfy any and all legal requirements that such communications be in writing. This website and its contents are intended for your personal use only. Unless noted otherwise, all content contained on this website, including text, graphics, logos, buttons, icons, images, audio clips, and software, is the property of 420 Beginner and is protected by the copyright laws of the United States as well as international copyright laws. You shall be solely responsible and liable for any and all damages resulting from any infringement of copyrights, proprietary rights, or any other harm resulting from any uploading, posting, or submission of your content on 429 Beginner. All rights not expressly granted herein are reserved. We always attempt to describe products featured on this site as accurately as possible. However, we do not warrant that all of the product descriptions (or other content of this site) are accurate, complete, reliable, current, or error-free.